Are your teeth discoloured or misshapen? We can help. Our Dentistry on Vine team can enhance your smile with cosmetic dentistry in St. Catharines. Whether you need whitening, crowns, or veneers, we offer a wide range of treatments for you and your smile. Crowns – Used to cover a misshapen, cracked, or decayed teeth, crowns offer extra protection and blend in seamlessly with other teeth. Bridges – Anchored into place by healthy teeth, bridges fill the gap of missing teeth and enhance any smile. Veneers – A painless way to repair crooked, chipped, or misshapen teeth, veneers are custom-fit to smooth an uneven smile. When you smile, you may see teeth a little less bright than you’d like. If you want to see a change the next time you look in the mirror, consider teeth whitening in St. Catharines at Dentistry on Vine. 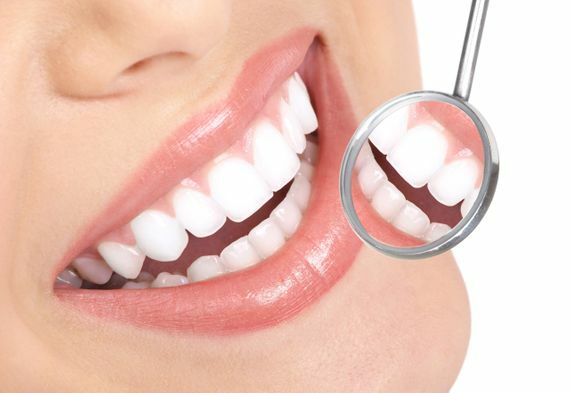 Our dentist, Dr. John Kit, can provide you with a solution that will whiten your teeth. Dr. Kit will review your dental history to determine the best solution for your teeth. From there, he will recommend either Opalescence Boost, Opal at Home or Opalescence Go. What are the differences between these three teeth whitening products? Opalescence Boost – in-office whitening: This is a fast professional in-office whitening system that only requires 2 X 20 minute applications. It’s a PF formula (potassium nitrate plus fluoride) that strengthens enamel, decreases sensitivity, and helps prevent cavities so you can enjoy getting whiter and healthier teeth at the same visit. Opalescence at Home: This is a professional take home whitening product. We make custom fit “take home” whitening trays and the sticky/viscous Opalescence gel is placed in the trays to provide ideal tooth contact. As the peroxide in the whitening gel breaks down, hydroxyradicals enter the tooth and naturally whiten its stains. The trays can be worn day or night and the high water content (20%) prevents dehydration and shade relapse. With the availability of 10%, 15%, 20% and 35% carbamide peroxide formulations, wear times range from 30 minutes to overnight. You may see results in days, and the treatment brings the most results in about two weeks. Opalescence Go: Opalescence Go is your go-to whitening solution for people with active lifestyles. The all-new adaptable UltraFit trays are made from an advanced material that adapts quickly and comfortably to each person's individual smile. Unlike store bought over the counter bleaching systems, Opalescence Go extends molar to molar. The snug fit of the tray also ensures the gel comes into contact with more teeth maximizing the whitening result and improving overall patient comfort. 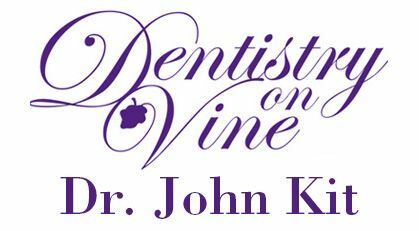 Since 1988, Dentistry on the Vine has been providing dental care to the greater Niagara area. We offer a flexible appointment schedule to accommodate families and busy, working professionals. If you think you will benefit from our teeth whitening treatments, we encourage you to schedule a consultation with Dr. Kit as soon as you can.